Win one of 3 copies of Anne Cherian's latest book by posting a comment in the comments section below by May 31st. Don't forget your name and email. My interest in her peaked when I saw a quote from Antonya Nelson, author of Some Fun and Female Trouble saying that, "Anne Cherian appears to be channeling Jane Austen in her wonderful novel A Good Indian Wife. Set in contemporary America and India, the book celebrates the cultural customs and idiosyncratic human nature that work in combination to create love, family, and identity. And like Austen, the writer ever-so-gently challenges the reader's expectations and assumptions about the nature of romance and fidelity." Sounded interesting and when I read the book, I was satisfied. It was a good blend of eloquence, story strength and pace, all bearing the same weight, thereby giving this book a slow yet, can't put it down feel. Her debut work of fiction A Good Indian Wife, won the South Asian Excellence Award and the Italian edition was a finalist for the Premio Roma award as well as the Tropea Literary Prize. Publishers Weekly gave it a starred review and said "Cherian’s straightforward storytelling is riveting and rarely goes amiss... and the climax is fervent." 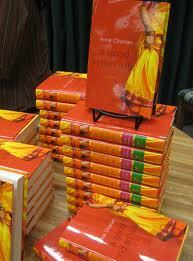 “Engaging and thought provoking; a combination of India and America, tradition and modernity, oneness and individuality. I couldn’t put this book down," was what Story Circle Book Reviews said. Anne Cherian is the author of A Good Indian Wife (2009) and The Invitation (forthcoming May 14th 2012). Born and raised in Jamshedpur, India, she graduated from Bombay and Bangalore Universities and received graduate degrees in journalism and comparative literature from the University of California, Berkeley. She currently lives in Los Angeles, California. Amidst the launch of her new book and writing her third novel, she was kind enough to answer a few questions for Suprose. Your academic education is in Journalism. How did you make that switch from journalistic writing to fiction writing? I added journalism to comparative literature, which I was already pursuing, because I thought it would force me to write. But I didn’t like reporting, either asking intrusive questions, or writing a story according to rather strict guidelines. So you see, I didn’t so much make a switch from journalism, as I learned that it did not help me write fiction. I was also teaching Reading and Composition to undergraduates at UC Berkeley, and discovered that being forced to know a novel/play really well taught me a lot about writing. Thus when I write, I usually think about how I would teach the novel. For example, there are many twinnings in A Good Indian Wife. Leila and Caroline are alike because they both want to get married; Neel and Caroline are alike because they both want their partners to better them, etc. 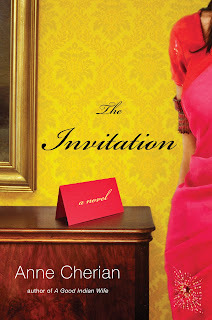 And in my latest novel, The Invitation, Vikram and Jay are foils for each other. What drew you to fiction writing? I knew I wanted to write fiction from a very young age. I have always loved words, the shape and sound of them, and I also love how stories can take you to far away places or put you in a better mood, or teach you something that helps you later on in life. What are some challenges of plotting and characterization in fiction? My two novels have been character driven, and I’m lucky that I know my characters rather well before I begin writing. The challenge for me always is to keep the movement going. I’m the sort of writer who could happily have characters sit around a dining room table and talk without ever moving, but that, as you know, can be extremely boring. Do you believe in writer’s blocks? Do you encounter them? How do you overcome these blocks? There are days when I sit and stare at my computer screen without being able to write a sentence. I used to force myself to keep sitting, but now I know better. So I usually take a few days off, watch movies, meet friends, and at some point I will have an idea for a scene. Then I return to the computer and start typing, hoping that the idea will grow. What was your favorite part of “A Good Indian Wife”? Both the story and the process of writing it? One of my favorite scenes is when Neel talks to his dying grandfather. I was very afraid to tackle that conversation because death is so difficult to write about. But I wrote it in one morning and never changed a word. Perhaps that is why I like it! Though on a more serious note, I like how Neel wonders if love can be wrong. There is quite a bit of ‘wrong love,’ if you will, in the novel. Neel’s family manipulating him to get married, Neel’s affection for Caroline, Caroline’s for Neel, and so on. As for the process, I liked how every time I made a change, it was to make Leila a stronger character. I wanted very much for non-Indian readers to know how difficult it is for a woman to leave her family and friends and try and make a marriage work in a strange land. She isn’t a person wearing a strange looking outfit; she is someone who is in the midst of doing something very impressive. A bigger challenge for many debut authors is making that first sale. How did your come about, did you find and agent who then helped you. Please describe that process for our readers. It was very difficult, and I was just about to give up, when I found an agent, Bonnie Nadell, who understood what I was trying to do. I started trying to get representation back in the 1990’s and still recall an agent writing me that “India is not important.” It wasn’t the story, or the writing, it was the country I was writing about. Another agent liked the story, but wanted me to make Leila more docile. When I talked to Bonnie, I actually asked her if she was interested in reading a novel that was quite different from other novels that were already out there. Neel, after all, has what we back in India would call a severe case of ‘white fever,’ where he longs to have a white wife, etc. He also dislikes Leila precisely because she is not Caucasian. Though this is not unheard of in every minority community, it was still an uncomfortable topic. Bonnie also liked Leila’s strength, and I knew I was in good hands with her. Then Maria, my editor at Norton, said yes. I still feel lucky that they took me on. And I feel incredibly lucky to have a second novel out this month. What do you think are some challenges faced by South Asian writers today? I can only speak for myself, I’m afraid. My challenge, always, is to have my Indian readers say that the story and characters are probable (as in Aristotle, who said that drama is more probable than history), and to have all non-Indian readers realize that my characters are closer to them than they originally thought. Thus, in A Good Indian Wife, it’s not about how Neel and Leila got married, though that is interesting; it is how they manage to live after that. As we all know, marriage is difficult, and I wanted to show that though their partners were chosen, the issues they encounter are not so different from an American who marries his high school sweetheart. And in The Invitation, the four characters who meet after 25 years are reminiscent of a high school reunion, because it is all about where they were, and where they are now. Your first book won the South Asian Excellence Award. Tell us more about it, what it is and how you felt when you found out you were a winner. I was very sick at the time, and unfortunately, could not go to New York. I didn’t think I had a chance of winning, given the competition, but was very sorry to miss the event, which includes a ride in a horse drawn carriage. I had also wanted to meet other South Asians, because as a writer, I don’t get out much. I was actually in bed when Adeebah Khan very kindly phoned me to let me know I had won. I was completely surprised, thrilled, and also sad that I could not be there. I’d love another chance…. Who are some of your favorite authors, South Asian and otherwise? Leila, in A Good Indian Wife, quotes from Shakespeare and TS Eliot. Both of them are very musical writers whose words come to me at odd moments. I am not even aware I know a line, when it pops into my head. I think Arundhati Roy is amazing. Rohinton Mistry, Gregory David Roberts, Anita Rau Badami, Wislawa Szymborska, Peter Shaffer….it’s a little like asking me my favorite foods. I can go on and on…. What are you reading now? Can you also tell us what is waiting to be read in that “to-read” pile on your night-table? I am working on another novel right now, which means that I tend not to read fiction. I have the weekly Economist, the biography on Steve Jobs and Van Gogh…I have also collected a number of novels I plan to read once I am done with my own writing. What are some inspiration tools that you might use, like music, writing exercises and such? My main inspiration is that time is precious. Like I mentioned earlier, I have known what it means to be very sick, so I know very well that I need to use the time I have. On days when I have an idea, but would rather not write, I tell myself that I have to, because I only have today. I can’t listen to music when I write because I find it is too distracting. On good days, I love facing the blank screen of my computer because I know I am filling it with sentences that no one has written or will write. It is both humbling and empowering. I am half way through a new novel. As always, it is untitled, because I am very bad at titles. My agent comes up with them. I've read a good Indian wife. Looking forward to invitation. 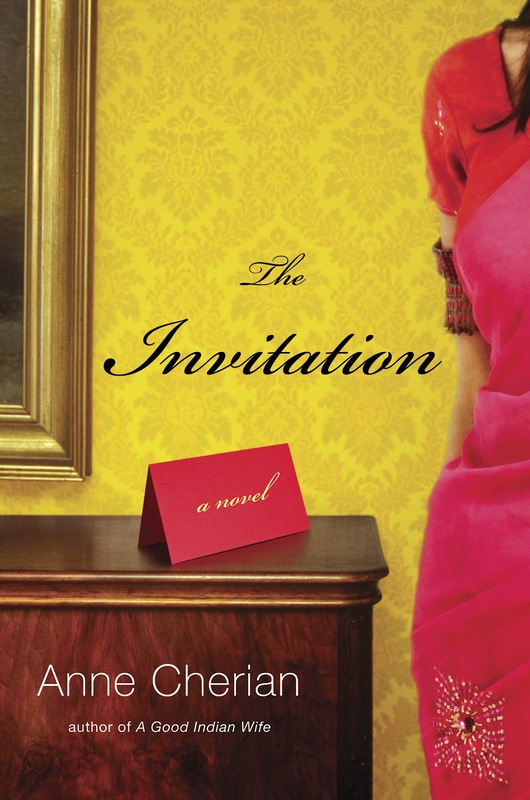 I am pleased to note that Ms. Anne Cherian has completed another novel invitation. I have read her previous one "A good Indian Wife" and was very impressed with that. It had a nice blend of romance and Indian culture in it and made the reading interesting. I am glad that she changed her career from being a journalist ( which she studied) to fiction writer. I wish her well and hoping to read the invitation soon. An interesting interview and would like to read Anne Cherian's first novel A good Indian Wife . I've not read any of her books, but the interview has piqued my interest. I will definitely be reading Anne Cherian's novel. Winners of this months giveaway are Veena Iyer, Sujatha Srikanth and Kris Gopal. You should be hearing from us soon. j'ai hâte de lire son second roman, merci pour cette interview. J'ai beaucoup aimé "Une bonne épouse indienne" et j'aimerai lui envoyer un mail pour connaitre son carnet de recette de cuisine. J'ai conseillé ce livre à plusieurs amies qui l'ont beaucoup apprécié également.